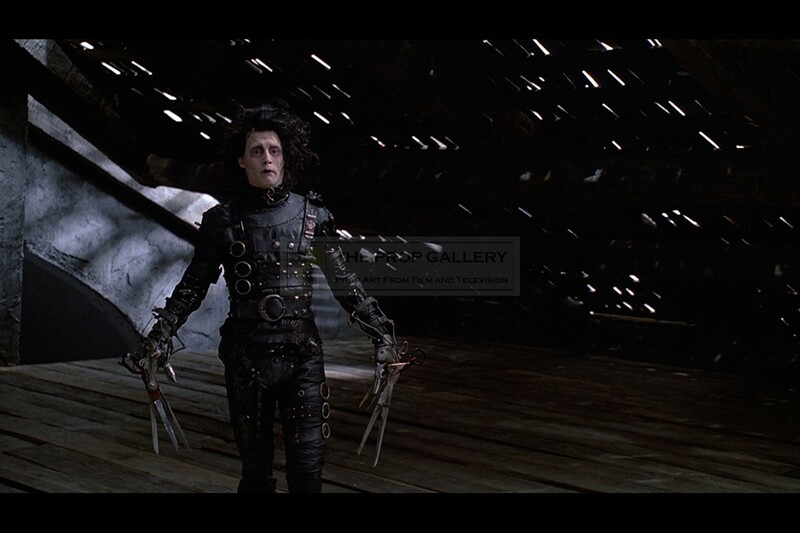 An original prop from the production of Edward Scissorhands, the 1990 fantasy picture starring Johnny Depp under the direction of Tim Burton. 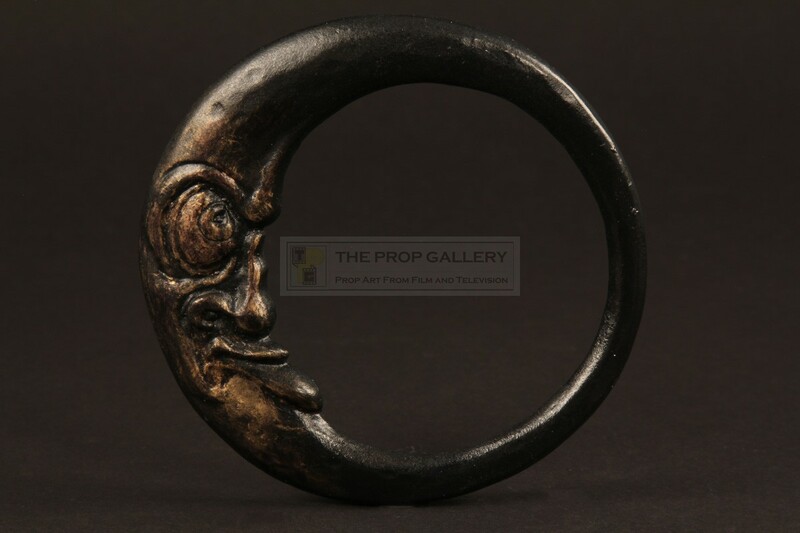 This is an original production made belt buckle as featured prominently on the costume worn by Depp in the title role which was visioned by costume designer Colleen Atwood. 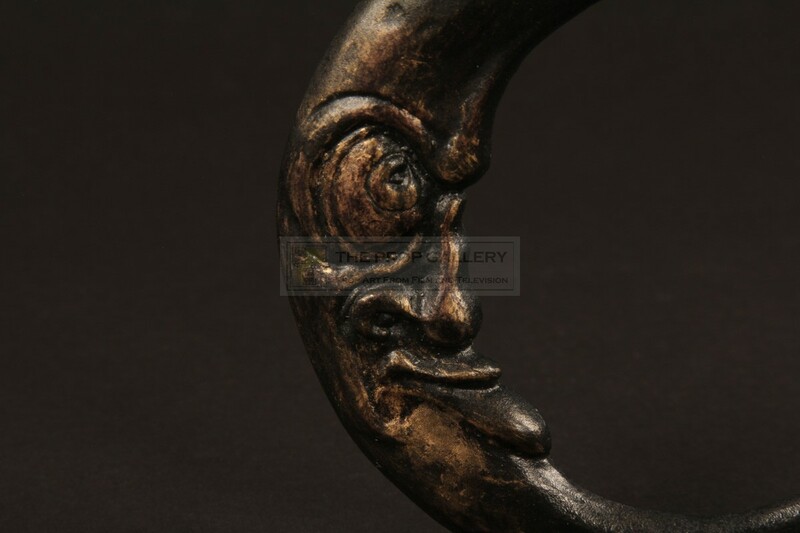 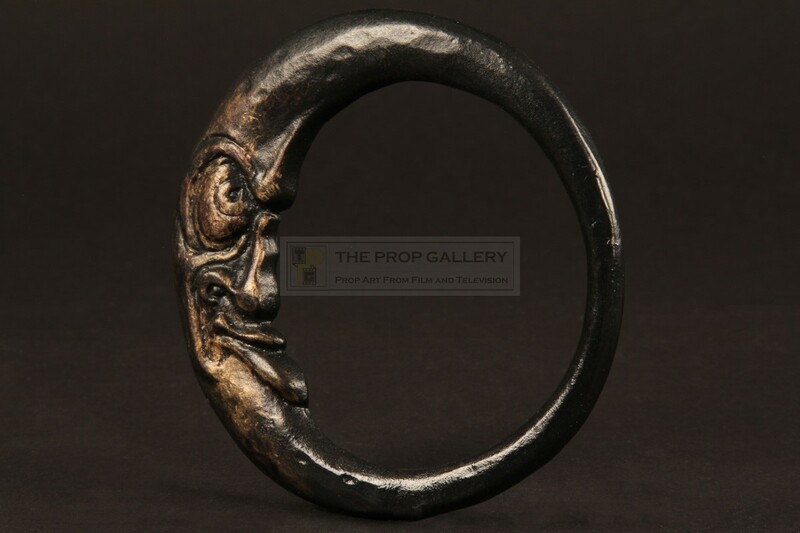 The buckle was created by noted effects house Stan Winston Studios and is constructed from resin featuring a moon face with a black paint finish and gold highlights. 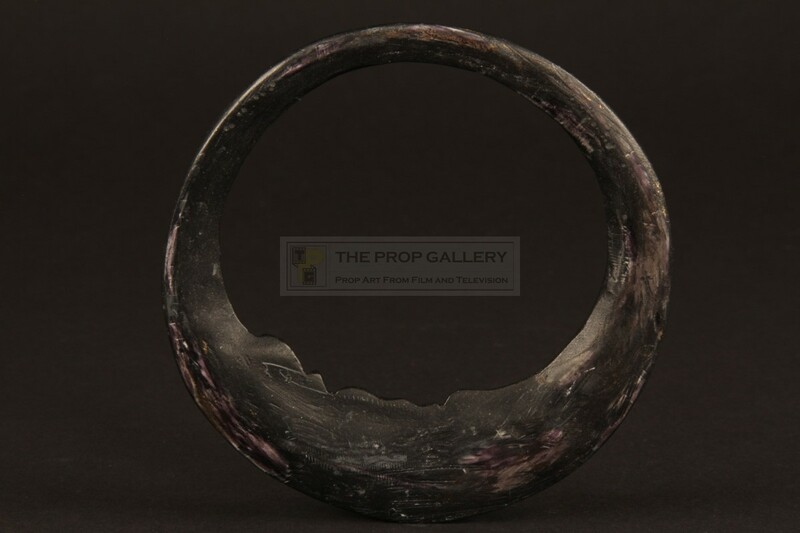 The prop measures approximately 4" in diameter and remains in excellent production made condition with only minor wear from handling, very fine. 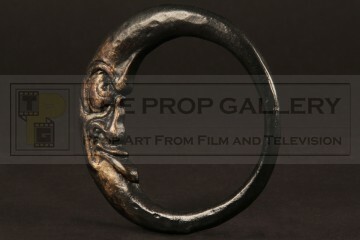 A highly displayable artefact from this Academy Award nominated picture.